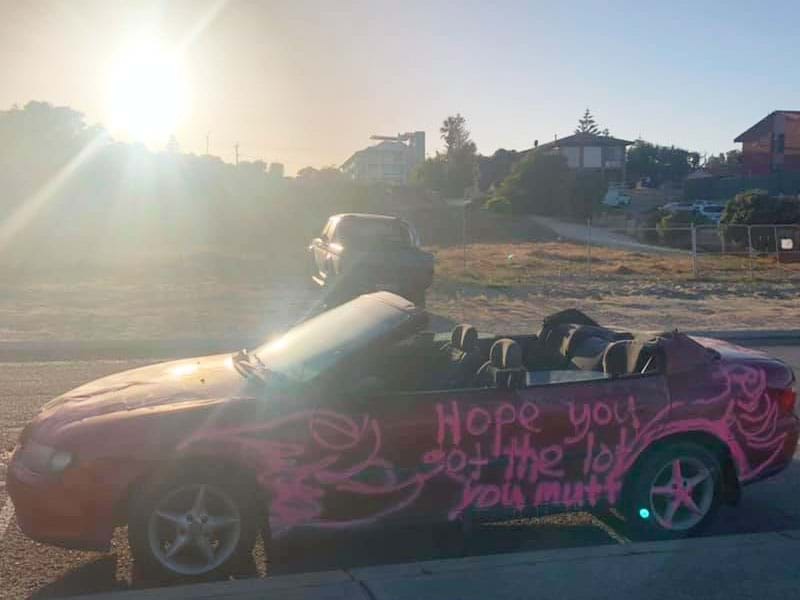 Scarborough residents have awoken to quite the sight... apparently, the photos below would suggest that somewhere in Perth, a "Sarah" is revelling in some handy work to an ex's car. A "Red Rocket", to be precise. 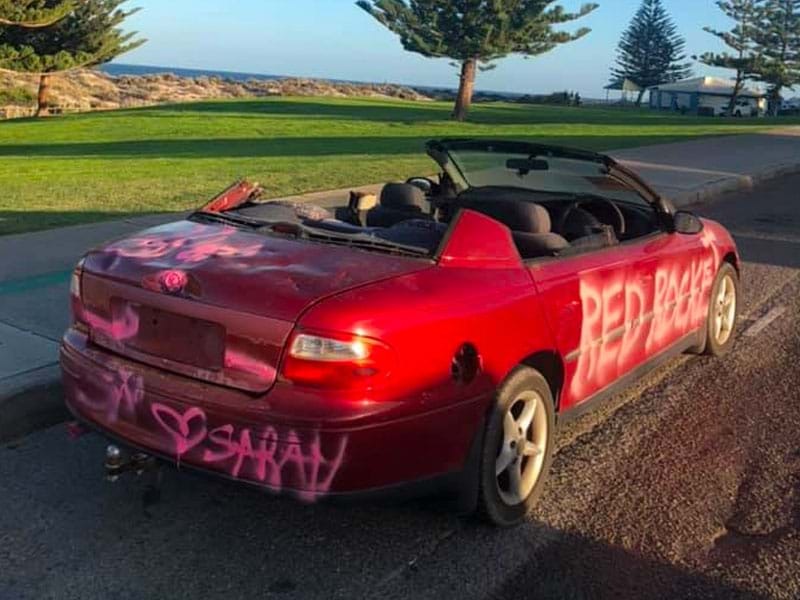 Whoever "Sarah" is, we can only assume that she's pretty handy with an angle grinder or the like, as that red rocket wasn't exactly a convertible to begin with. Finally, "Sarah" left a parting note that leaves very little doubt as to what might have gone wrong in this relationship. Clearly, the car has been reported so the "Red Rocket" won't be adorning Scabs for much longer.